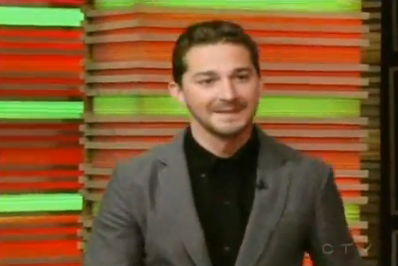 Shia LaBeouf visited Regis & Kelly to talk Transformers: Dark of the Moon and then rabbit trailed over to Marilyn Manson.. yeah…. weird. But he did and guess what? These two are turning into a dynamic duo for Manson’s upcoming eighth album. He wants Shia to do a documentary on the making of the album. You know it’s gonna be really, freaking WEIRD. Or as Shia puts it, “eccentric.” I call it weird.